The Joe Moretti housing complex just received a much needed face lift. Spread out on six separate City blocks, the 32 housing buildings underwent extensive renovations, including new roofs, facade restoration, mechanical equipment replacement and painting. ZAG worked closely with the Miami Dade Public Housing Agency on this important restoration project. 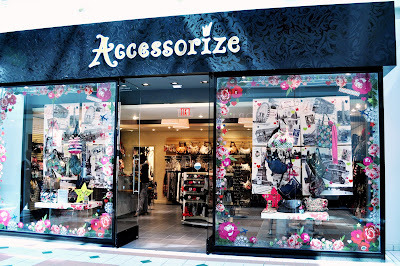 Be inspired by Accessorize Now in the U.S.A.
Accessorize is kicking off its U.S. expansion with five store openings in the Washington D.C. area and New York City. Clients can visit the brand new stores located at Union Station, Washington DC; Tyson's Corner and Fashion Center in Virginia; Roosevelt Fields Mall, Long Island NY; and 329 Bleecker Street, N.Y.C. 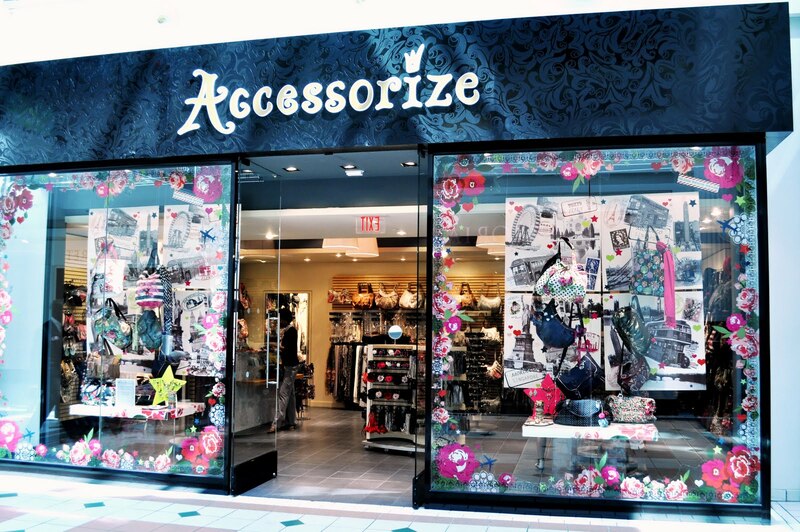 Accessorize has been featured in an article in Retail Traffic discussing the company's push to expand within the United States. ZAG provided the Architectural, Engineering, Expediting and Construction Management support needed to meet this aggressive roll out program. ZAG was selected among several Architectural firms pre-qualified by Miami-Dade County to offer Architectural and Engineering services in three of their Administration Buildings. ZAG recently upgraded a 27 year old high rise apartment for a family of 4 in the heart of the Miami Financial District. Living in an apartment has spatial limitations. For this project we were able to satisfy the functional needs of a family that likes to cook and entertain. The design challenge was to accommodate a large number of appliances and equipment yet provide a clean and uncluttered look and maximize the work areas. Black granite counter-tops and back-splash, combined with zebra wood, white lacquered paneling and bamboo patterned porcelain floor tiles create an elegant yet functional atmosphere. Green design creates peaceful bathroom. To create a Zen atmosphere in the guest bathroom, a careful balance of colors, textures & lighting was required. 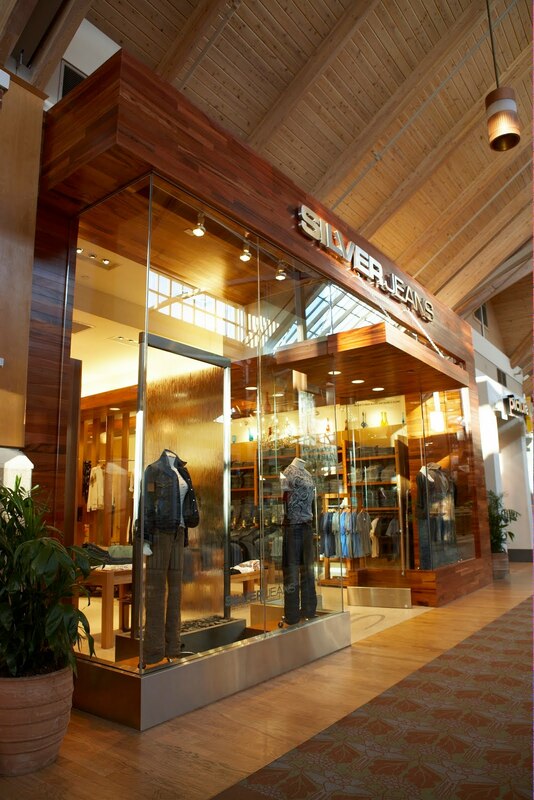 Using earth color materials such as river stones, tile and sand based paint we created a sophisticated and soothing environment. Thinking of how nature interacts, "Simplicity, clean lines, fluidity and functionality. 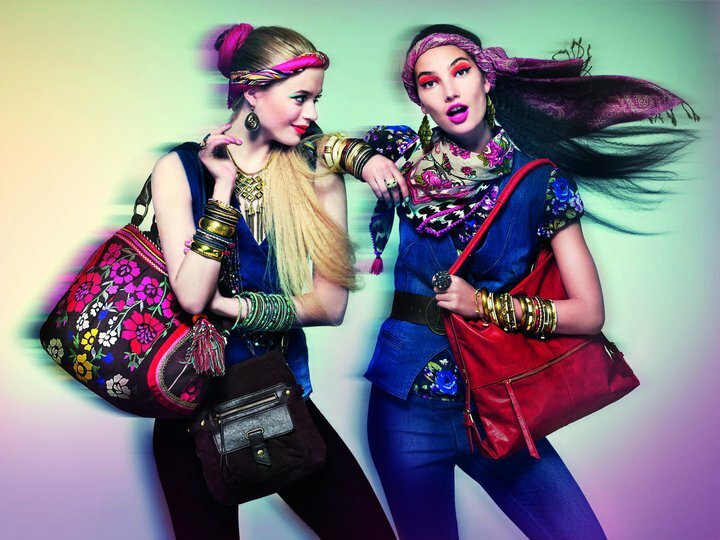 ", were the guiding design principles. TOD’S is an Italian company that manufactures some of the finest leather goods. 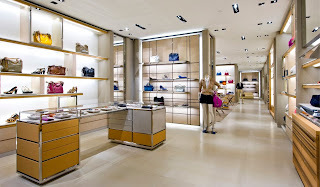 ZAG implemented their new prototype design at their Bal Harbour Shoppes location. ZAG-designed Store Focuses on Sustainable Material..."
Contemporary organic architecture bridges ’60s consciousness with today’s need for a holistic and harmonious environment by incorporating retro imagery and visual merchandising with such natural elements as stone, wood, bamboo, plants, and water, explains designer Victor Zamparelli of Zamparelli Architectural Group (ZAG). 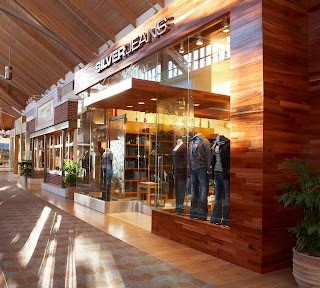 Environmentally responsible wood species create a seamless flow from the storefront and entry canopy to wall and fixture elements, including a serpentine “spine” running through the space, for a peaceful, welcoming ambiance. With a desire for a sustainable environment and little control over building systems in the mall site, the retailer and designer focused on where they could make the most difference without adding substantially to the cost of the project: materials. 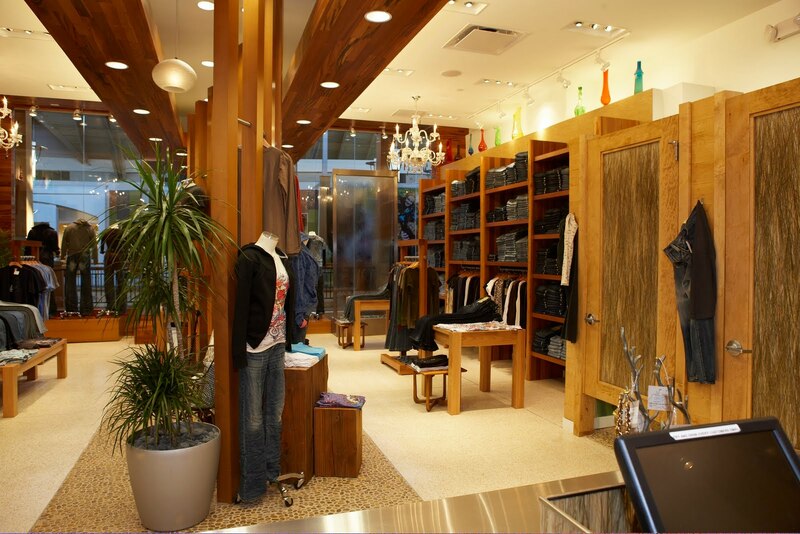 Working primarily from the LEED Materials and Resources credit category requirements, Zamparelli called for natural, recycled, recyclable, and locally extracted materials as well as low-VOC adhesives and finishes. Silver Jeans is a premium denim manufacturer based in Canada. 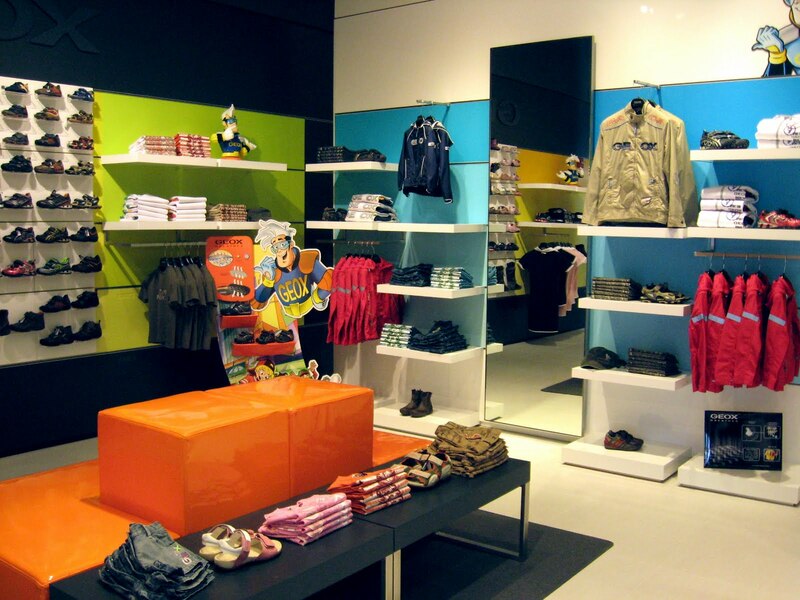 ZAG was asked to design and develop a store prototype for the U.S. market. 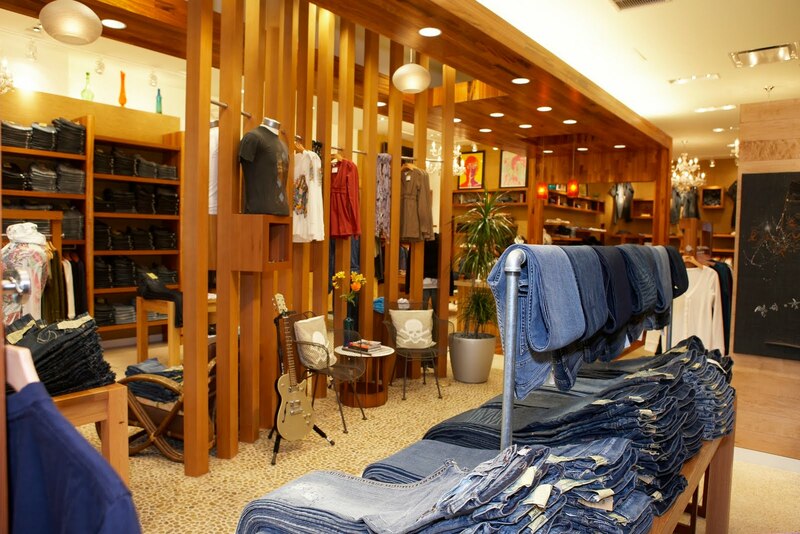 The main design objective was to develop a prototype that would reflect the concept of “modern organic”. Through the careful selection of materials, textures, color, sound and lighting we were able to create a serene and peaceful ambiance, providing a sensory oasis for a relaxed & nurturing shopping experience. GEOX is a premier Italian brand of shoes and apparel. The company’s products are available in over 60 countries worldwide. 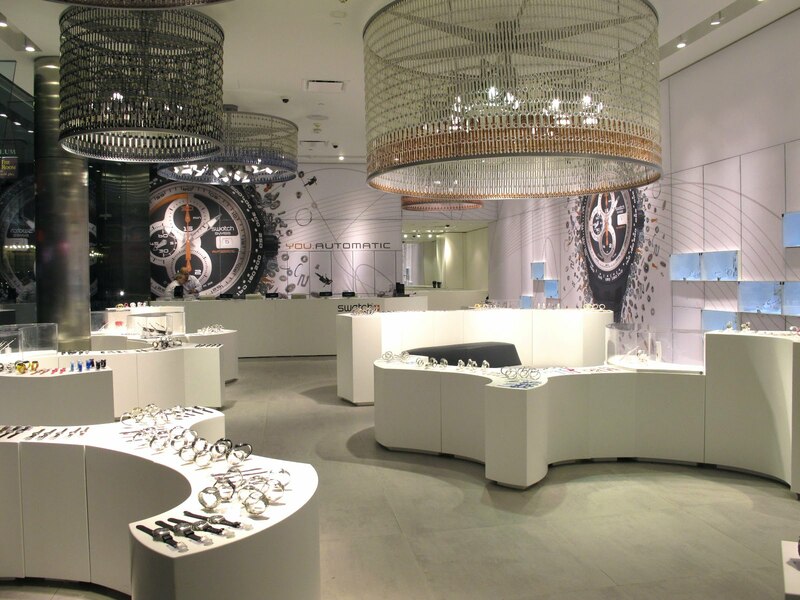 When GEOX embarked on its expansion program in the U.S., ZAG was selected to implement their corporate identity in multiple locations. Of particular significance is the Lincoln Road store located in the Historical District of South Beach, FL. 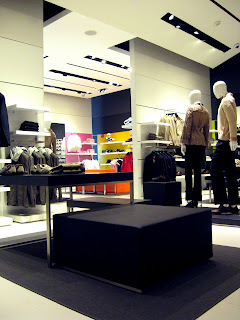 ZAG collaborated with GEOX’s designers to incorporate & adapt the European concept to meet U.S. Codes and standards. 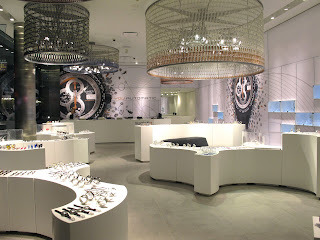 Swatch is one of the World's most widely recognized brands and is one of the 19 labels under the Swatch Group umbrella. ZAG has provided a complete menu of services to its different brands with over 80 projects completed nationwide, Canada and the Caribbean. 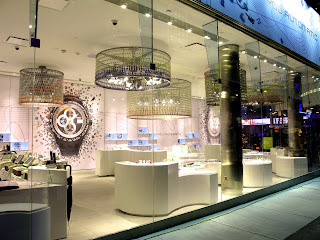 Of notable significance is the the Swath Flagship store located in Times Square, N.Y.C. Agent Provocateur is a well known lingerie brand based in the United Kingdom, known for their innovative an cutting edge products. 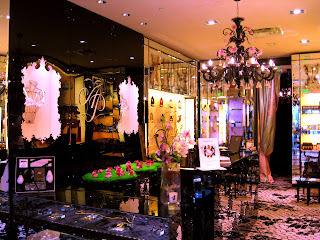 Agent Provocateur stores are located in prominent upscale destinations throughout the United States. 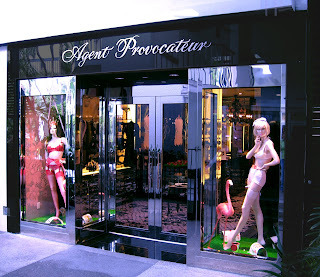 ZAG was retained to assist Agent Provocateur with their expansion program, collaborating with their designers to adapt and modify the European prototype to meet U.S. Codes and standards. 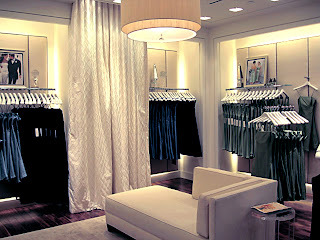 ZAG collaborated with Ann Taylor's in-house team to design their New York City flagship store at Rockefeller Center. 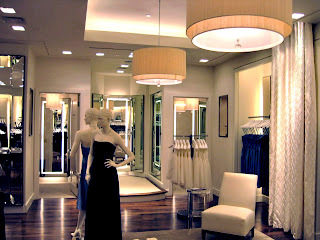 Comprised of two floors for a total of 10,000 square feet, the new design expanded on Ann Taylor's existing prototype by incorporating new design elements. A new division called Bridals was introduced for the first time. 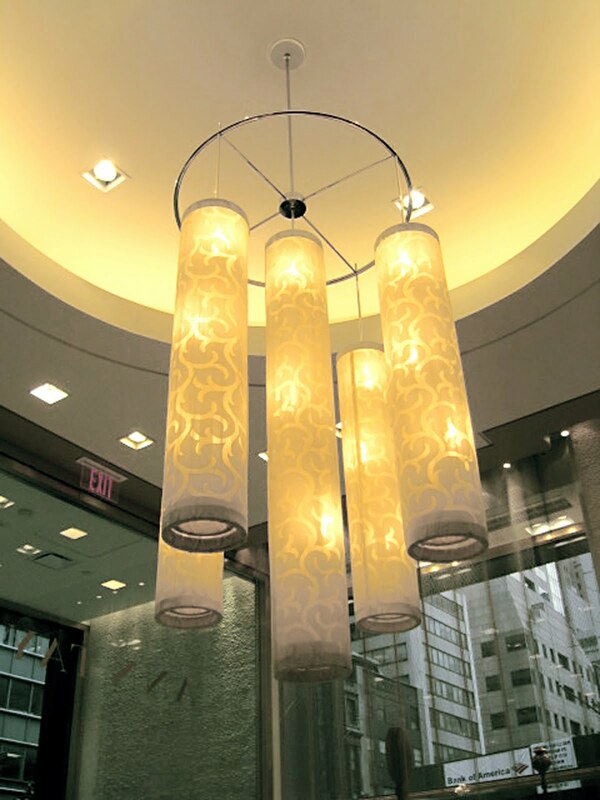 Services Included: Prototype Design, Interior Design, Fixture Design, Lighting Design, Construction Documents, Contract Administration and Building Department Expediting. 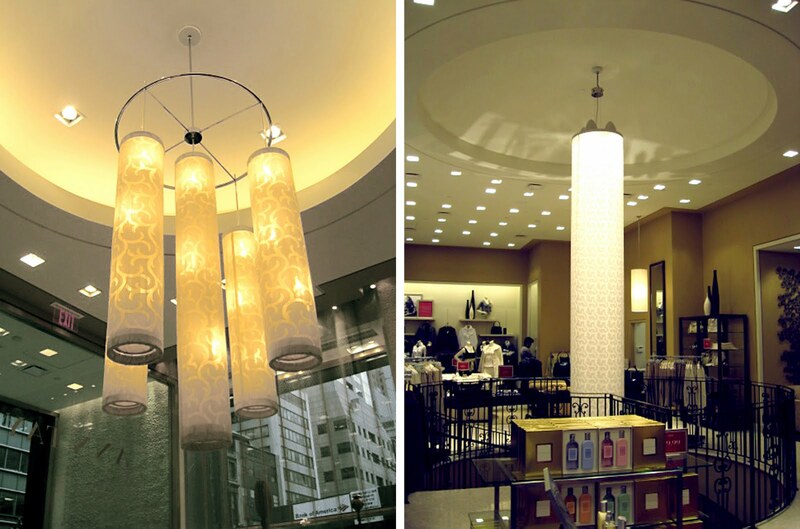 ZAG collaborated with Ann Taylor’s in-house team to design their New York City flagship store at Rockefeller Center. 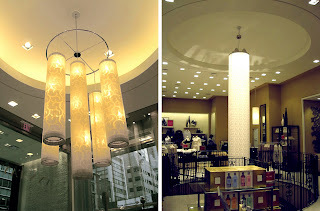 Comprised of two floors for a total of 10,000 square feet, the new design expanded on Ann Taylor’s’ existing prototype by incorporating new design elements. 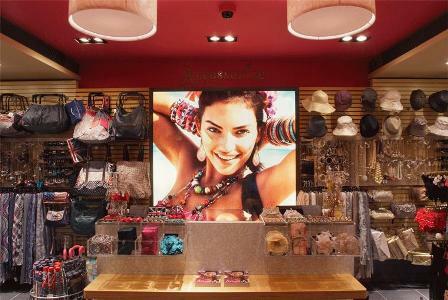 A new division called Bridals was introduced for the first time. Our address: The Ingraham Building 25 SE 2ND. AVENUE SUITE #316 MIAMI, FL 33131 Phone: (305)603-8183 http://www.zagarchitects.com/ THE COMPANY VZA Architects, PA. DBA Zamparelli Architectural Group -ZAG- was founded in 1996 in Miami, Florida by Victor Zamparelli. Mr. Zamparelli is known for his vast experience in the architectural field for the past 20 years, as well as managing projects nationwide. ZAG provides Architectural and Engineering services to the public and private sectors, throughout the United States, P.R. and Canada. 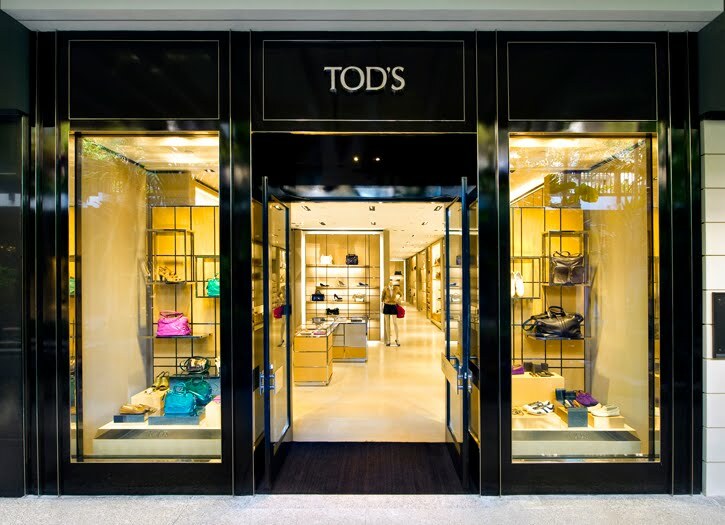 We have successfully completed over 500 projects which include, hi end residential projects, corporate office buildings, prototype designs and rollout for retail stores, gas stations and food marts, restaurants, banking, manufacturing, hospitality facilities and public buildings. 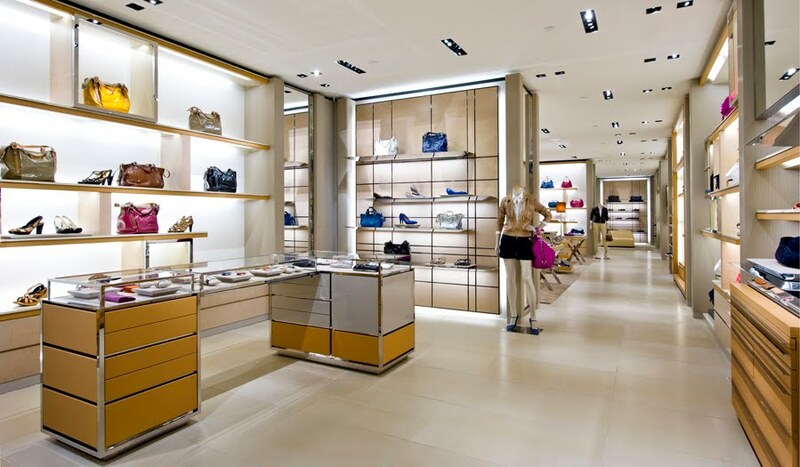 National Retail companies rely on our ability to develop simultaneous projects that require extensive knowledge of the market, design expertise, high quality production standards, and budget management. ZAG has the credentials and registrations to implement your projects nationwide.